Joe has been a rock theater composer since 1994. His current production Pericles - Prince of Tires was just premiered by Jobsite Theater at The Tampa Bay Performing Arts Center for which he received "Best Theater Composer 2009" by Creative Loafing Magazine. Other recent composition includes the Northwestern/ AMTP production of In The Bubble co-composed by Michael Friedman, book by Rinne Groff, and directed by Michael Greif. Other work with Groff includes music for "What Then?" directed by Hal Brooks. He has also composed complete scores for two Mac Wellman musicals Whirligig and Why The Y? as well as a punk rock adaptation of Macbeth conceived by Paul Mullins and Lisa Powers. Aside from theater composition, Joe also recently released the full length album Holland with his indy rock band The Hornrims, available internationally. Since their playwriting debut in 1999, Neil Gobioff and Shawn Paonessa have co-written for numerous productions, primarily for Jobsite Theater. Produced plays include the book for the rock musical/Shakespeare-adapted-mafia-comedy Pericles, as well as the acclaimed The March of the Kitefliers, Grimm's Faery Tales, The Curse of Millhaven, Breathing Oblivion, The Acropolis Project: Balance, and Learning Swerve. In 2011, Gobioff and Paonessa founded Kitefliers Studios, a production company devoted to expanding great storytelling from theatre to film, print and online media. Since then, they have produced for a number of films, notably The Bedford Devil, their first short, which they co-wrote. Neil Gobioff has also worked behind the scenes in other Jobsite productions including Clive Barker's The History of the Devil (Sound Technician), Bloody Poetry (Stage Manager) and Delusion of Darkness (Asst. Director/Stage Manager). 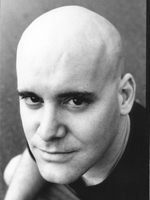 Shawn Paonessa is an actor, playwright and director, as well as Jobsite Theater's Vice-Chair and Online Producer. His directing credits include work on Hurlyburly (Assoc. Director), Delusion of Darkness (Director) and Tim Robbins' Embedded (Co-director with David M. Jenkins). 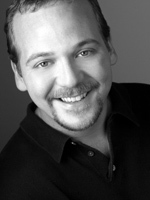 Notable stage performances include Bill in Woman in Mind; Shawn in The Complete Works of William Shakespeare (abridged); Joey in Phyro-Giants! ; Dr. Frankenstein in Playing With Fire: After Frankenstein; and Guildenstern in Rosencrantz and Guildenstern are Dead, which earned the 2008 Creative Loafing's Critic's Choice for Best Play. Along with various short film work, he recently performed in the feature independent film Past the Fields.